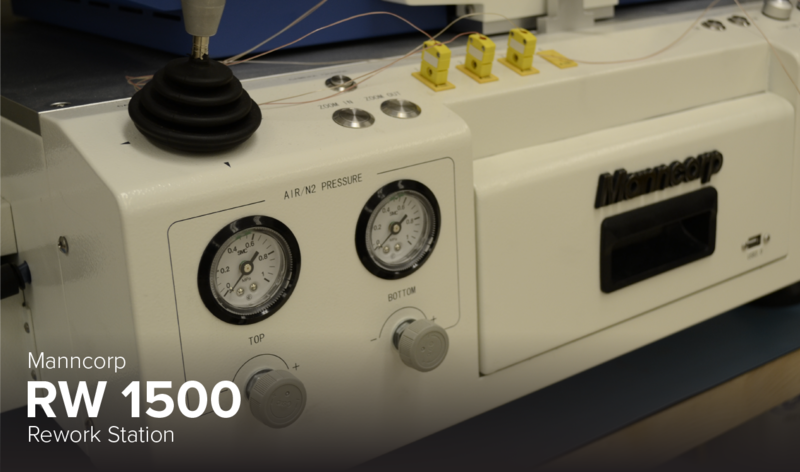 RW 1500's precision control ensures safe and repeatable removal, alignment, placement, and soldering of BGAs, CSPs, ultra-fine-pitch QFPs, and other delicate, heat-sensitive, and expensive SMDs. RW1500 ensures high product quality even when working with the most complex assemblies. Total Power Consumption 6.6 KW Max.